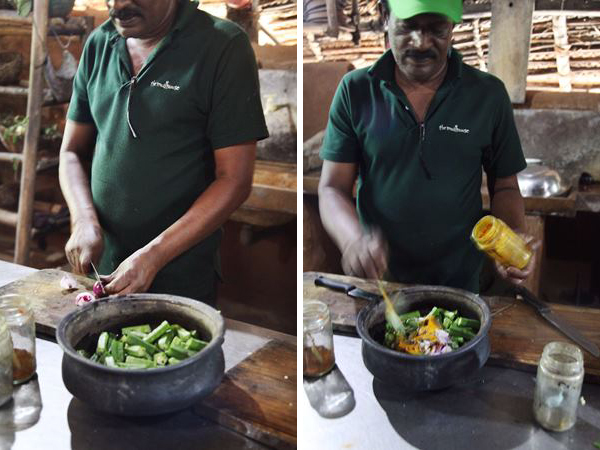 Marketing Manager Sarah is on a tour of beguiling Sri Lanka where she’s taking in the culture, sun and wonderful cuisine. 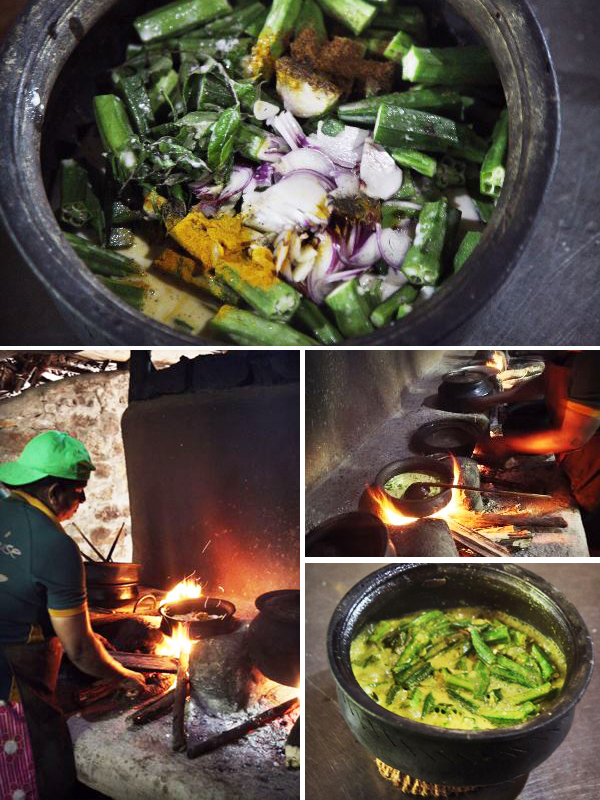 Here she shares a behind the scenes look at one delightful dish: the best okra curry you’ve ever made. With big thanks to The Mudhouse’s resident culinary magicians Ukka Amma and Gunarathne for letting us into their kitchen to pinch this gorgeous recipe. At The Mudhouse they make coconut milk by extracting and grinding the flesh before squeezing and pressing through a sieve. For a less labour intensive version, just buy a can of coconut milk! 1. 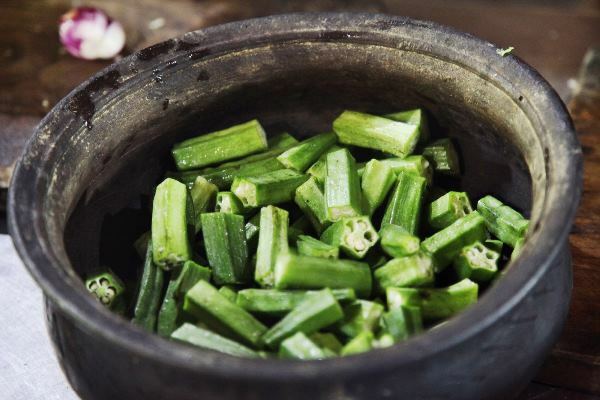 Roughly chop the okra into 2cm pieces and place into large saucepan. 2. Finely chop the shallots and garlic and add to the pan along with the salt, pepper, turmeric and curry powder. 4. Bring to a boil over a high heat and simmer vigorously for 10 minutes, stirring occasionally.